My senior interactive media project is to develop a niche social media network for informal ‘caregivers’ (i.e., people responsible for a senior to elderly family member or other loved one). 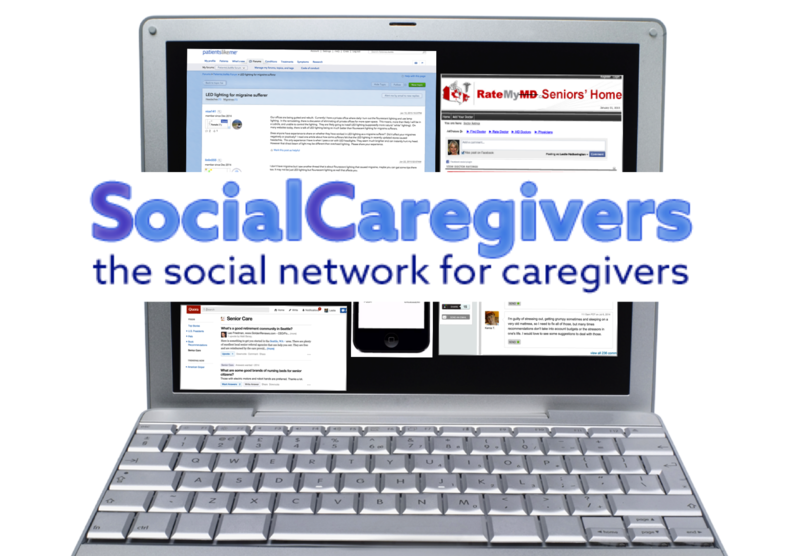 Its working name is: Social Caregivers Network (SCN). My vision is to develop: a one-stop resource to help Canadian caregivers share and quickly access trustworthy recommendations that give their loved ones the best care. Unlike the plethora of recommendations from senior care companies with a profit-driven agenda, the SCN will give caregivers access to objective recommendations, tested by other caregivers who share their challenges. It will also save time by giving caregivers access to others’ discoveries/learnings. Defining Scope that Meets My Audience’s Top Priorities – Caregivers face a broad range of challenges — from finding a reliable hearing aid to making an end of life decision. While tempting, the SCN can’t cover every scenario. The challenge is to narrow the scope to a feasible mandate that delivers distinct value to the end-users. As with any interactive media project, I need to start with the audience (including key personas) and its priority needs or use case scenarios. To achieve this, I plan to survey a sampling of this audience to collect qualitative data on where the needs are greatest and criteria for success. Only then, can I select the functions/features to address these needs and define the scope. Making the Interface Accessible, Compelling and Intuitive – There is no point in producing the SCN unless I strive to follow UX best practices and ensure AODA compliance. Beyond this, I plan to incorporate testing, such as a card sort, to keep the solution aligned with the audience’s habits/perceptions as it progresses. Avoiding Scope Creep – Throughout this project, I’ll be challenged to keep tasks within this scope and ensure that iterations don’t include new mandates. This will be tough as I’m sure I’ll discover many ‘great’ ideas but believe by adhering to proven project management methodologies with effective tools, I can avoid this pitfall. Adhering to Privacy Legislation and Avoiding Liability Issues – Since the SCN deals with personal health details, it must adhere to all applicable privacy legislation in Canada, as well as possibly the US. Similarly, I need to ensure the SCN is not liable for undesirable outcomes due to community members’ advice. To avoid both of these issues, I’ll check applicable guidelines and invest in a legal review/opinion before it goes live. Building, Nurturing and Protecting an Engaged Community – Although a social network’s long-term value is in its community and their interactions, it must be built first and nurtured. I need to develop tactics to attract members and initiate conversations/engagement, particularly in its early days. I also need to incorporate features to mitigate/block trolls/detractors, who can tarnish the user experience. This is my initial challenge list but I need to proactively identify and stay ahead of others as I move forward.